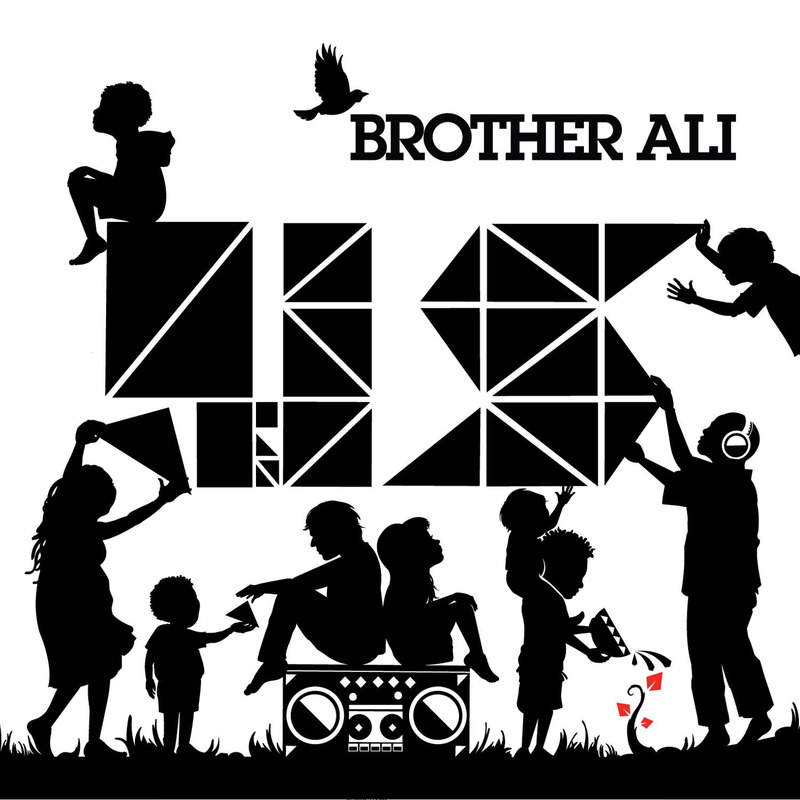 Us, the fourth studio album by Minnesota MC, Brother Ali, continues the rapper’s trend of fantastic songs composed of flowing, quality verses, catchy choruses, and pounding, memorable beats. It’s yet another great record from the standout Midwestern artist, and yet another bright spot in today’s underground hip scene. Once again, the particularly sublime production by Ant of fellow Minnesota hip hop group, Atmosphere, is the most standout element of the album, and it’s well written elements are the base on which the rest of record’s quality ingredients are built. The album is full of a wide range of styles and beats, from electric guitar riffs to funky, idiosyncratic percussive rhythms that provide a diverse set of hip hop music. Ali’s verses and choruses change for each song and fit perfectly on each acoustic or electronic beat. In many ways, Us is simply a continuation of Ali’s work in The Undisputed Truth (TUT, 2007), because both are extremely high quality works, and you can’t tell the difference between songs in each album. You can’t tell which album any song from either Us or TUT belongs to, in other words, unless you memorize the track listing of each record. That is also another continuation from TUT: The fact that Us‘ lacks a single, overarching theme or concept that unites its tracks under one banner. This is the main weakness of Us, just like it was in TUT. It’s not that big of deal, because most of the songs in Us are so good, but the fact that the album feels more like a collection of singles rather than a finished album is still distracting, just like it was in TUT. Like I’ve already mentioned, Us’s diversity helps it in many ways, yet at the same time, the fact that Ali bounces around from celebratory optimism (“Fresh Air”) to depressed retellings of a life with divorced parents (“Tight Rope”) to the Atlantic slave trade (“The Travelers”) to abusive relationships (“Babygirl”) with little to no connecting themes in between detracts from the splendor of the overall record somewhat. The fact that ‘Us’ is all over the place helps it, but it also hurts it as well. In any case, Us fails to find the right balance between diversity and randomness while still managing to deliver a fantastic album. It’s yet another hopeful sign in the sphere of modern hip hop, and an additional reminder that the genre is alive and well if only people know the right places to look for it. In this day and age of empty showboating and endless, pretentious comparisons to greats, 2pac and Biggie, it’s always nice to see someone with the talent and skill to stand apart from the crowd and blaze his own trail.